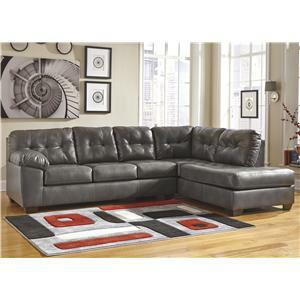 Just what you need for family and social gatherings, this expansive 3-piece sectional features a unique cuddler chaise on its left, an armless loveseat in the middle, and a lengthy chaise sofa on the right. 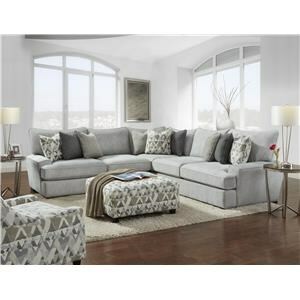 With high-resiliency foam cores, Dacron wraps, and plush toss pillows, this sectional offers superior cushion and support for you and your favorite guests. 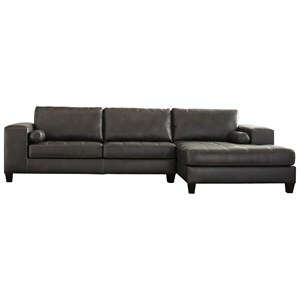 Its casual style features flared dome arms and block wood feet for a slight, contemporary edge. 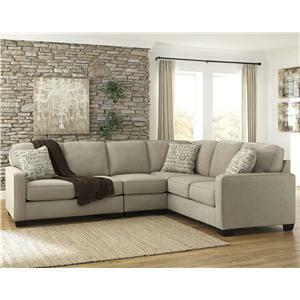 Settle in for the Big Game or a movie night on this 3-piece sectional sofa. 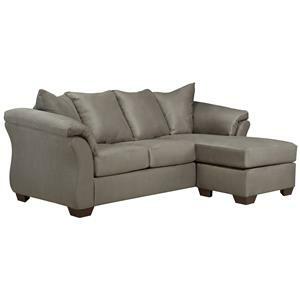 The Sagittarius Casual 3 piece Sectional with LAF Cuddler Chaise by Jonathan Louis at John V Schultz Furniture in the Erie, Meadville, Pittsburgh, Warren, Pennsylvania area. Product availability may vary. Contact us for the most current availability on this product. 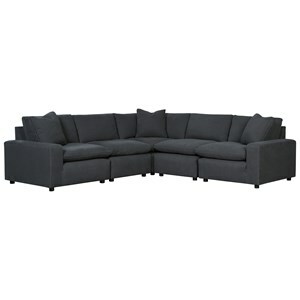 42428R RAF Armless Chaise 1 38" 38" 30"
42484L LAF Cuddler Chaise 1 66" 38" 30"
42403 Armless Loveseat 1 62" 38" 30"